Insight into Leo: Displeasure, outrage and vengeance. Leo is proud, dignified, and ego-maniacal. They try to portray a "bigger than self" image by portraying themselves as a better person than they really are. The Leo, a brat to the core, is obsessed with limelight, and will neither let go, nor share it with anyone. They cannot think of anything, or anyone, beyond themselves. They befriend people who can shower them with appreciation. Their need for dominance does not allow the Leo to witness anyone else doing things better than they do, and they hardly trust (associates or friends). It is, thus, never expected that a Leo will shower praise, or use soothing words, or even appreciate others. They are unusually calm and composed in most situations, and carry their dignity in everything they do or say. Want to anger a Leo? Their rage is brutally violent! 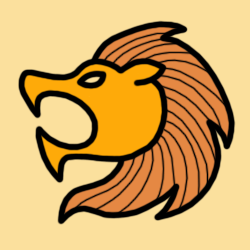 Angering Leo can be easy - given their obsession of limelight, the egoistic lion has a dire need for dominance. Ignore them completely, and they will see red. Interrupting them while they are speaking (especially when bragging) is never appreciated. But to completely get under their skin, steal their spotlight - especially if they have been working hard on it. Take credit for something that they have achieved, and walk away with all the applause. The mighty Leo will not lose their composure when hurt. But, they will surely "go for the kill" and exact a revenge befitting the offence - with no delay. They will fiercely hunt down their adversaries, and destroy everything in their way. Even after the adversary is "defeated", like the receding water of a tsunami, a Leo will continue to destruct until the lion has had its fill. Thankfully, this does not happen often. After an act of betrayal, it is almost impossible to be ever forgiven by the Leo, let alone be trusted. The dignified Leo will never stoop to silly temper tantrums (like fellow fire sign Aries) but can surely become cold and indifferent - if things do not go their way. They tend to withdraw, and do not discuss their problems, to save themselves from embarrassment. The Leo is not a patient sign. They will not waste time pondering on whether or not to exact a revenge. And, neither do they accept any apology. On the other hand, pride is everything to the regal Leo. If you have unwittingly hurt a Leo, try to make yourself a laughing stock and turn the event into a joke. Pretend that nothing wrong ever happened. If necessary, take the help of an audience, to make the Leo feel that their dignity is intact and their anger is misplaced. This is the best that you can do - and hope the anger to subside. Being apologetic, and begging for mercy will only empower the lion to a more destructible revenge. Try to spoil a joke or story that they are sharing with others - like "Oh, this I already know", or finish the rest before them, or correct it - like "Oh! you don't remember, you are telling it wrong." Try to know what they are planning to wear, and from where they purchased it - and go out on the street wearing the same clothes, like twins! Try to speak on their behalf when they are interacting with someone - like when someone asks them, "Do you like cold coffee?" and before they can answer, you say "Yes. and he likes Vanilla ... with chocolates sprinkled on top." Try giving them meaningless advices and expect them to follow - like, "Make sure to have honey with warm water first thing in the morning, it is good for your stomach". Try telling them the big truth by being relentlessly honest - like "You don't look beautiful today, you look tired", "You are starting to get wrinkles, you are getting old", "Look at the dark circles around your eyes, you look like you have not slept in days", etc. In general, any attempt to challenge their basic Leonite traits, will anger or irritate them. For example: lying to them, taking them for granted, talking behind their back, embarassing them, undermining their authority, not appreciating them, etc. For Leo, there is nothing more important than their head held high. Express your admiration of the way that they tackle their problems, and make sure to choose a number of adjectives to express countless positive (if not divine) qualities of that person. Summarizing a Leo as "Cool", "Beautiful", or "Genius" would certainly bring their smile come back. Note that the above observations are mere solar-scopic indicators based on generic Leo traits and behaviours, and do not consider the other planets of an individual's Natal Chart required for real Horoscopic readings. Other planets may enhance, suppress, and even nullify certain Leo behaviours.